Hi everyone! 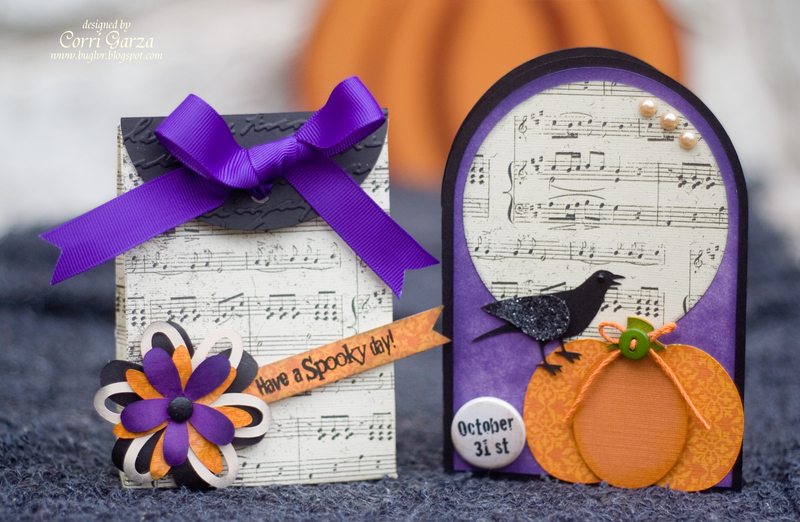 I have a pretty Halloween gift set to show you today. I used files from SVG Cuts to create the card and gift bag. The bag is large enough to hold some candy or other small gift. I tied the back closed with some purple grosgrain ribbon. You can read more details about the files on used on my blog. Corri, this is so cool! I just found svg cuts and am thinking of trying them on my ecraft! This is awesome!